Cambria Suites Akron-Canton Airport located in Green is under 4 miles North of the Airport with Free airport transportation. Close to The Pro Football Hall of Fame and the All American Soap Box Derby. Conveniently located near dining, shopping and entertainment venues. 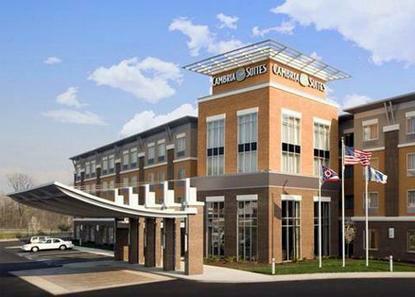 Our 100 percent Smoke Free, all Suites hotel offers a state of the art Fitness center, 24 hour convenience store, restaurant and lounge, indoor heated pool and a Barista coffee bar on premises. 100 percent satisfaction guarantee. Physical location of hotel known as Green, OH. Verify driving directions.